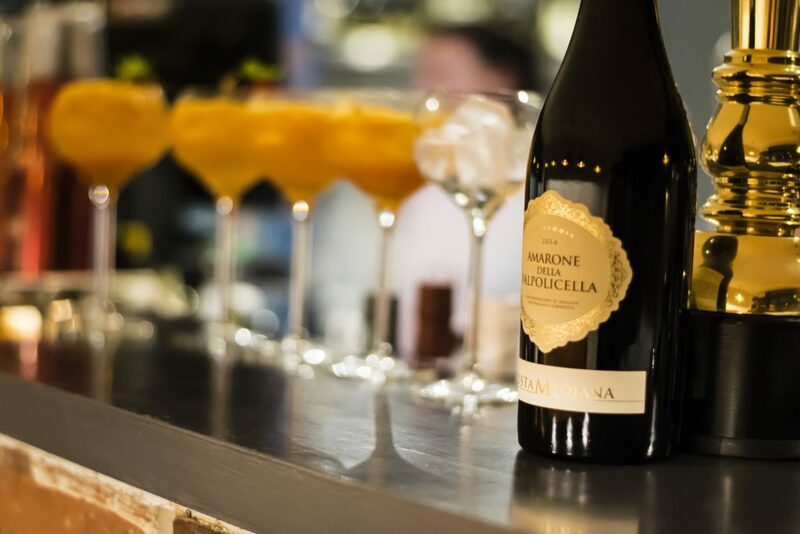 We paid a visit to the launch of the highly anticipated Aperitivo, set in the suburbs of north Leeds. The restaurant location is within the former space of award-winning Dough Bistro. 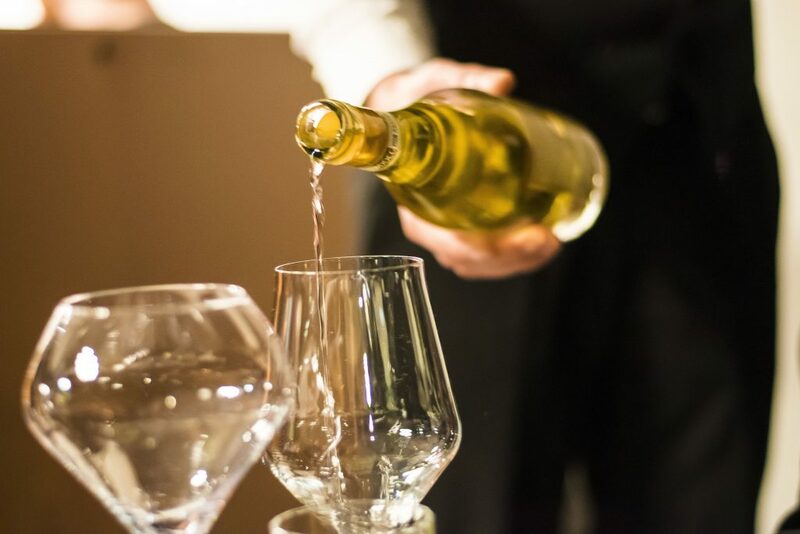 Owner Luke Downing and the team decided on a new direction from the French styled bistro to a new Italian restaurant, mixing Italian dishes, expertly sourced wines and spirits, with the best local ingredients in a relaxed atmosphere. From entering the restaurant we started the evening with a great welcome and introduction to the ethos of the new venture along with their modern twist on an Italian staple. 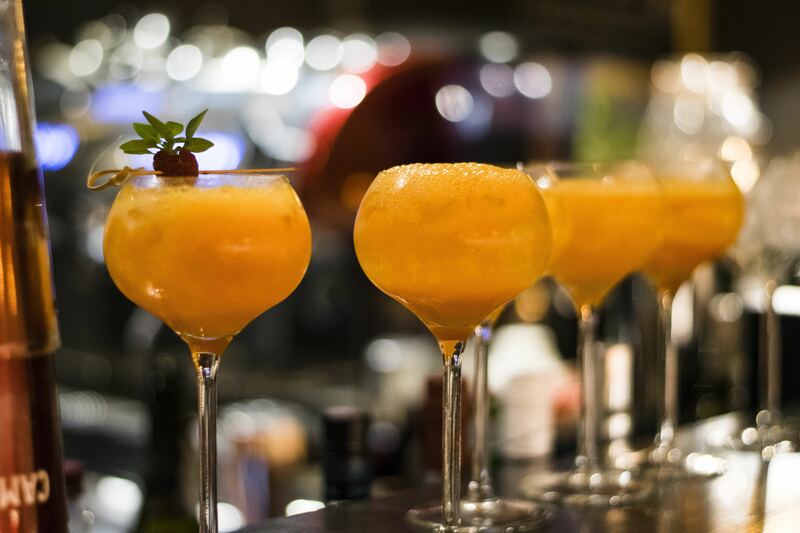 Everyone’s favourite tipple the Aperol Spritz but with the fruity addition of fresh mango to really get the taste buds flowing before the main event. The menu is set out with a focus on sharing. Think small plates, Italian style tapas or cicchetti. Delicious seafood, Italian meats and cheeses and not to mention fabulous homemade pasta and pizza. For those looking for carbonara and calzone, you’ll have to go elsewhere. 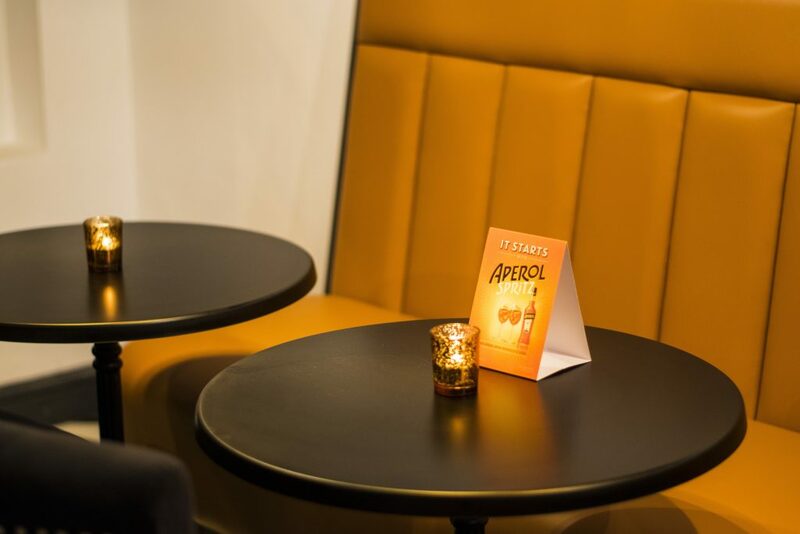 Aperitvo is all about showcasing the best ingredients and giving them a modern uber stylish twist. Co-owner and front of house Laura talked us through the menu and some personal recommendations before we chose our feast. With so many great dishes to choose from we really couldn’t decide for a good while. We started kicked off with a generous selection of homemade bread and Italian olives before the dishes started to arrive. Firstly the beetroot and goats mozzarella croquettes not only looked the part but tasted great. Sat on a bed of beetroot pickle and dressed with homemade pesto they were polished off in no time at all. Onto a few pasta dishes next. 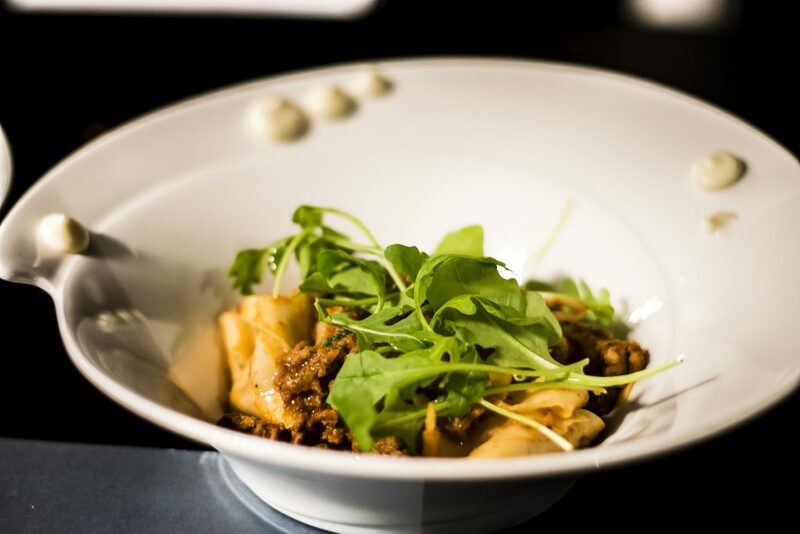 Thick ribbons of homemade pappardelle pasta in a delicious tomato and venison ragu. Don’t be put off by the thought of venison, the richness of the meat worked perfectly with the tomato ragu. 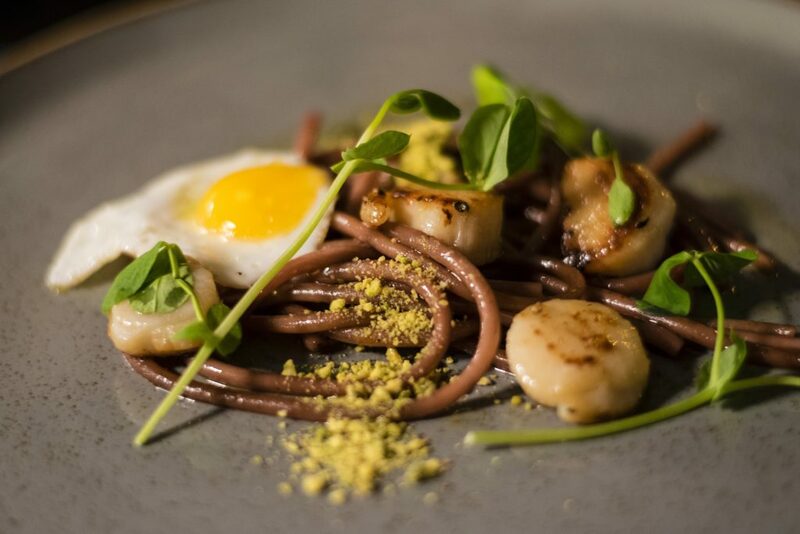 Next up Bucatini pasta, similar to a spaghetti, cooked in Chianti wine that gave a real depth of flavour, topped with meaty seared scallops and a fried quails egg, together with a dusting of pistachio that all combined for another winning dish. All three small plates perfectly executed with the finesse you could expect from the award-winning kitchen of the former dough team. We couldn’t leave without sampling the soon to be famous black pizza. 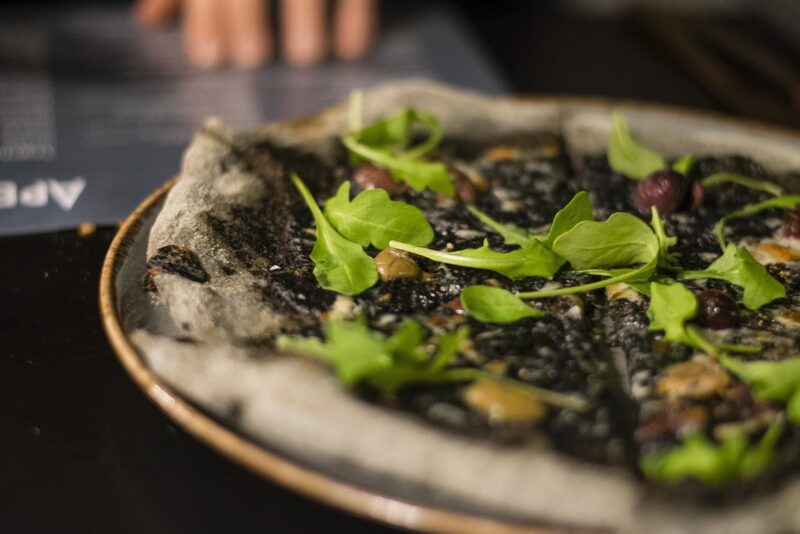 For all the Instagram foodies out there you’ll know one of this year’s hottest new trends is the black pizza dough. Adding the activated charcoal ingredient not only looks great but is also proven to reduce cholesterol and prevent gas. Basically, another great reason to eat more pizza, which is always a good thing in our books. The pizza base was then finished with olive tapenade, gorgonzola and black truffle before it’s maiden voyage into the oven. Dressed with a few rocket leaves to add colour and flavour. I personally loved the big bold flavours of the truffle and gorgonzola but my partner found it too strong after a few slices. Thankfully more for me. 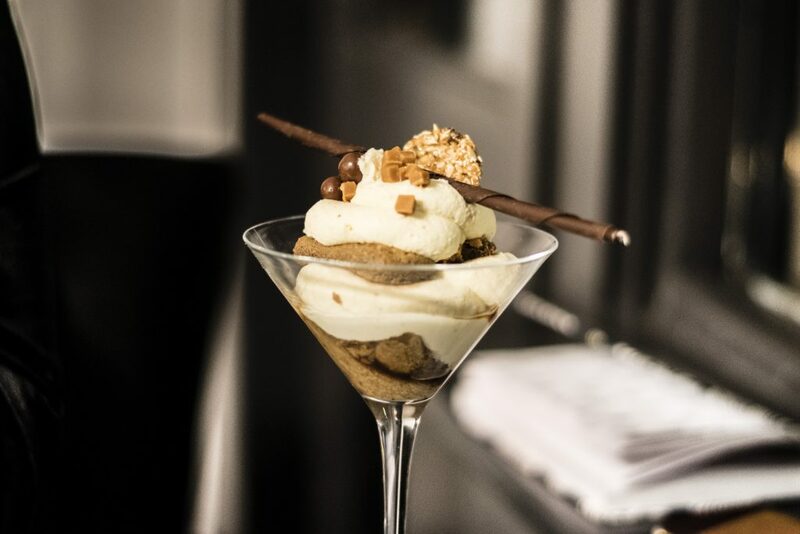 We finished the night with another modern twist on an Italian classic, the tiramisu. Again beautifully presented, with the slight aroma of garam masala, on paper you’d think this wouldn’t work but combined with the heady coffee flavour of the soaked sponge fingers, nuggets of fudge and chocolate tuile we can safely say the flavour combination went down a treat. 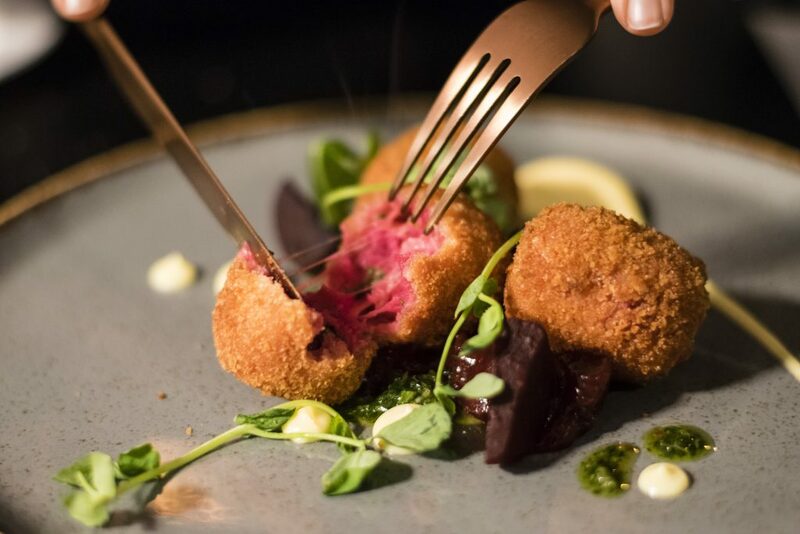 With so many Italian restaurants stuck in their ways, producing the same dishes and not wanting to push the boundaries it’s great to see the team at Aperitivo giving some of the Italian classics a modern twist and fine dining flair. 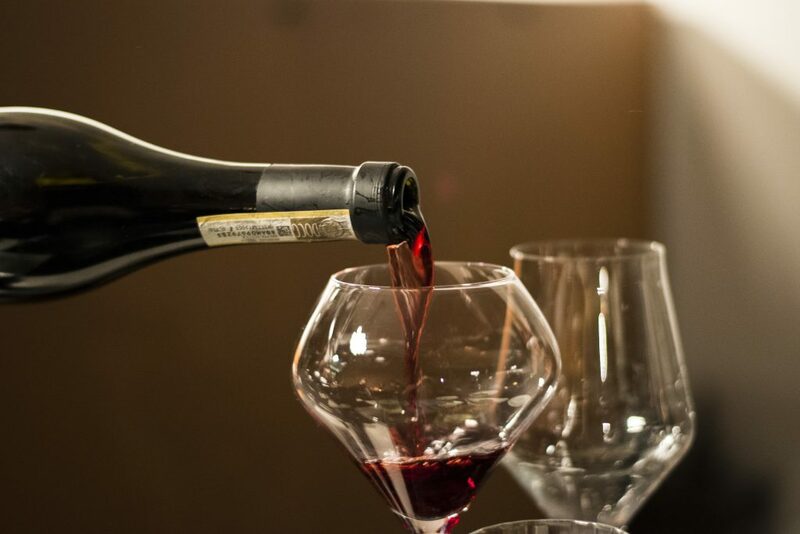 Not only a great addition to the suburbs but also the city of Leeds and the surrounding areas, we can see this new venture seeing the same successes as it’s predecessor the award-winning Dough Bistro.